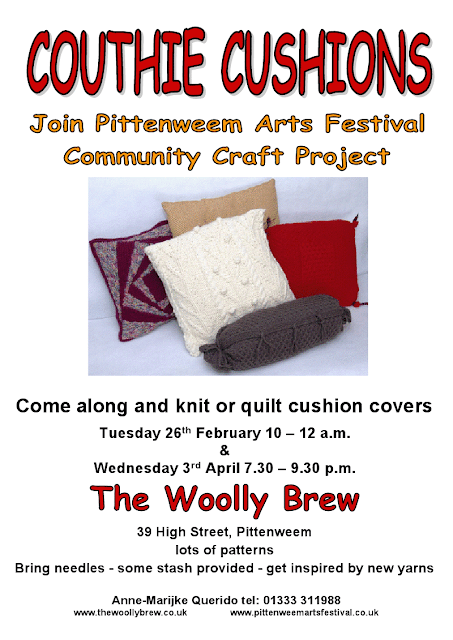 Couthie Cushions is this years Pittenweem Arts Festival Craft project. Anyone can take part. Make a cushion and it will be displayed and sold at the Arts Festival in August. Money raised is donated to charity (to be announced!). You can read more about it here.